Discount available! 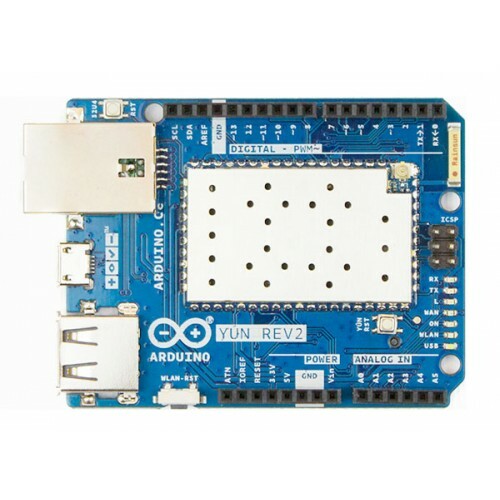 Recommend Arduino Yún Rev 2 to your friends and get your Discount. 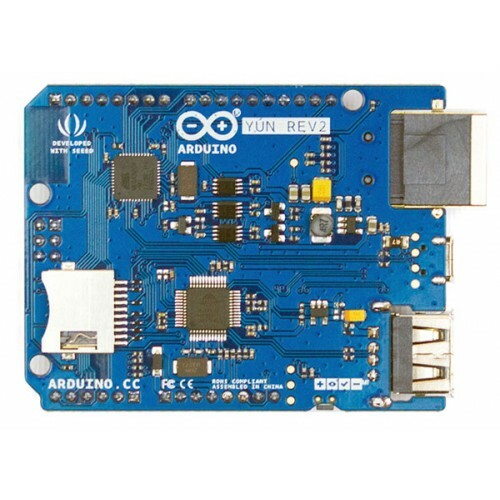 The Yún Rev 2, Linux powered board with the Arduino simplicity, is the perfect board for your IoT projects! The new Yún rev. 2 has a similar configuration to the original board, and uses the same two processors, making it backward compatible with its predecessor. However, there have been several architectural changes to the layout of the board to fix issues suffered by the original. The new hardware layout brings a better and more robust power circuitry. The most noticeable change is the position of the Ethernet and USB sockets. A low profile Ethernet RJ45 jack avoids potentially short circuits with shields and the USB port has been moved to a horizontal position to save space. Also, the USB hub has been improved. 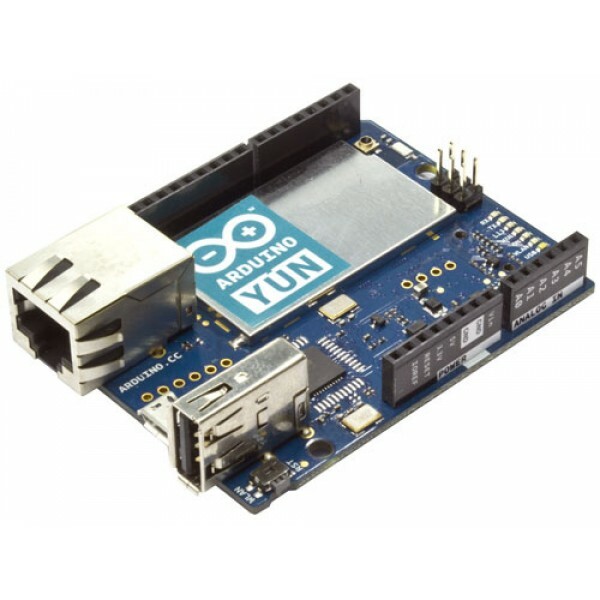 The software stack has received an update to the latest OpenWRT version, and SSL support has been implemented on the Arduino / Linux bridge. The Yún rev. 2 with the power of a Linux based system that enables advanced network connections and applications. Connection to your WiFi or wired network is simple thanks to the Yún Web Panel and the dedicated ''YunFirstConfig'' sketch. The Web panel allows you to manage your shield preferences and upload your sketch. The Yún rev. 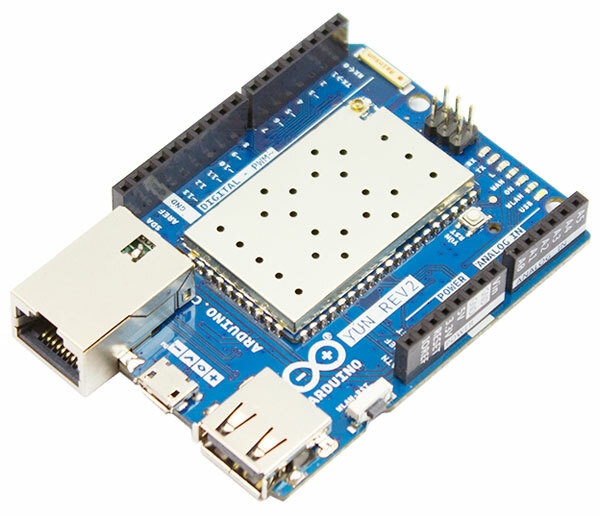 2 uses the Bridge library and so extends the board capabilities by using the Linux processor. As always, every element of the platform – hardware, software and documentation – is freely available and open-source. This means that you can learn exactly how it's made and use its design as the starting point for your own projects. The Yún Rev. 2 board allows you to connect to the internet using the onboard WiFi or Ethernet connection. 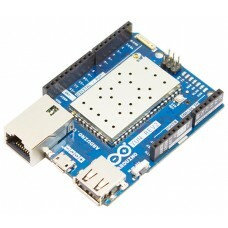 Furthermore thanks to the Bridge library is able to extend the functionalities of the Microprocessor by using the computational power of the Linux processor on the shield. Using the Yún Web Panel it is also possible to configure all the shield-related features and remotely upload sketches on the board connected to the shield.